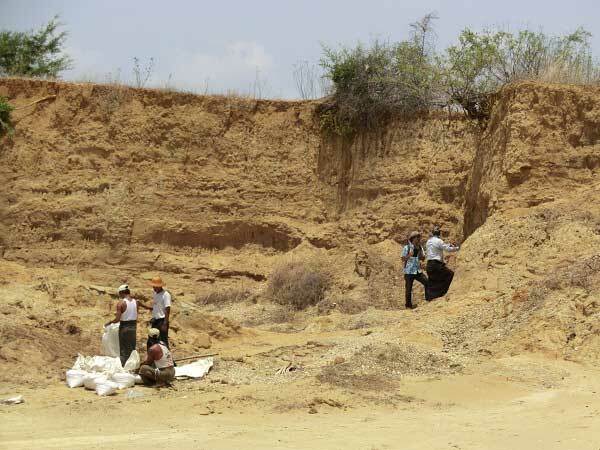 I carried out the paleontological works at the Gwebin village, Seikpyu Township, Magwey Devision, central Myanmar with Mr. Yuichiro Nishioka, a graduate student. 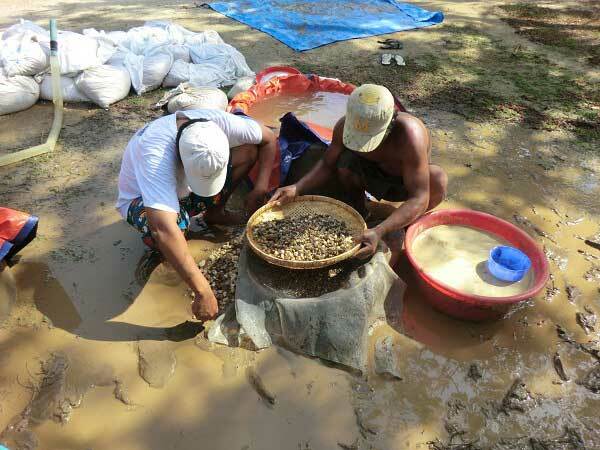 We made the columnar sections of the Irrawaddy sediments around Gwebin area and sampled some fragments of bovid teeth for the estimation of absolute age of the sediments around Gwebin area using the ESR method. We also made the screening and washing of the earth and sand at the MgMg 1 site to find small mammal fossils. We finally discovered more than 40 fragmentary specimens including primates, rodents, and lagomorphs. 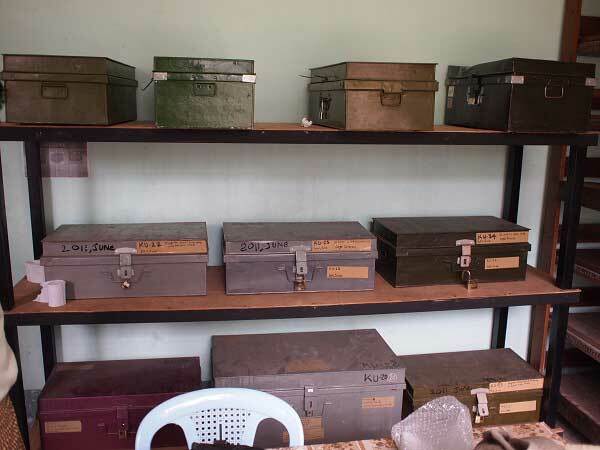 Then, we moved to the Department of Archaeology in Yangon to make the preparatory works of the fossil specimens: identification, measurements, and photography of the fossil specimens that we have already collected and newly discovered at Gwebin area.